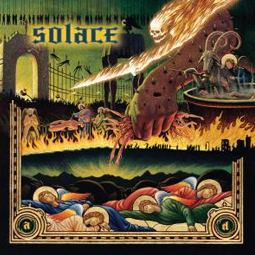 SS-093 :: SOLACE – A.D. Recorded at Trax East, Mad Oak Studio, Semaphore Studio & Hot Horse Sound. Recorded by Eric Rachel, Bennie Grotto, Brian Koerber, Sanford Parker & Justin Seitz. Artwork and Layout by Paul Vismara. Live photo and angel photo by Penelope Pappas.